Thanks for trying Project Online. I am part of the Engineering team that helped build this feature and have a minor input to your post. In the first step, it lists “One thing to note is that the site needs to be a ‘subsite’ of your PWA (Project Web Access).” This is not entirely correct. 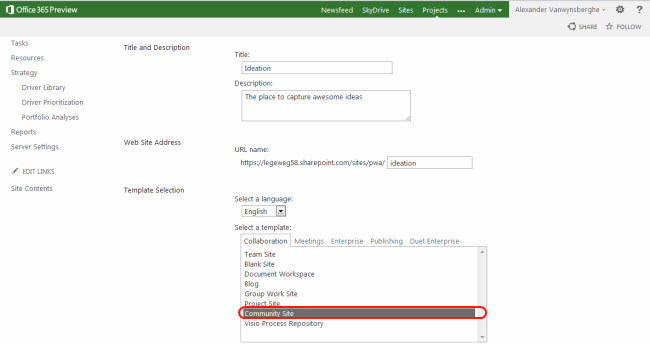 The list from which you want to promote items to projects can exist anywhere in the Site Collection where the Project Server Service is enabled. If your PWA, http://myserver/pwa, is not also the Site Collection root, but rather the root is http://myserver, then the list could be in the parent, sibling or subweb of PWA (or even PWA itself). Thanks for the additional information John. I’ve added this to my post. You guys did a good job with Project Online! Well done. 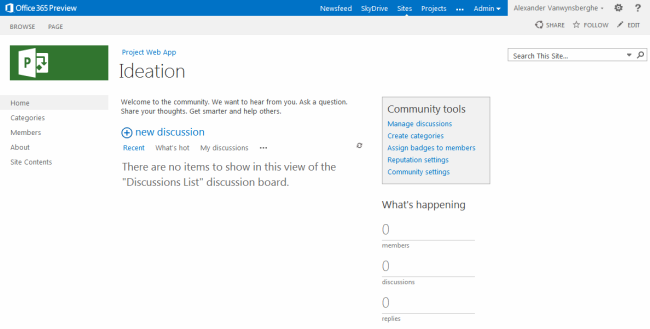 Does this only work with Project Online? 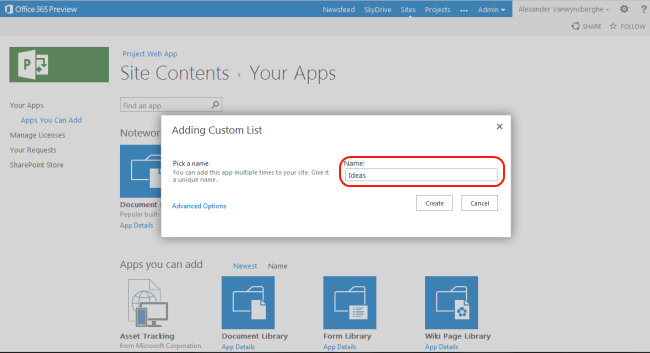 I couldn’t get the “Create Projects” button to show up in my PWA subsite custom list with an on-premise installation. What we found on one of our online instances is that only users that’s in the Site Collection Admin group can click the Create Projects button, all other users get an Access Denied error. Do you know how/where the permission to this feature is managed/configured? I have a question and hope someone will be able to help me with a solution. I have an ideation list and there are quite a few items in there, but all of them will not be turned into projects. I was wondering is there a property/field or anything, that is populated after the button in pressed to differentiate between the items that have been made into projects and the items that have not? 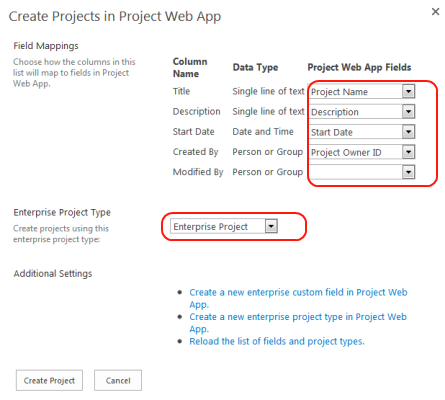 I wanted to create a Workflow that sets a field to Yes, if the project was promoted. 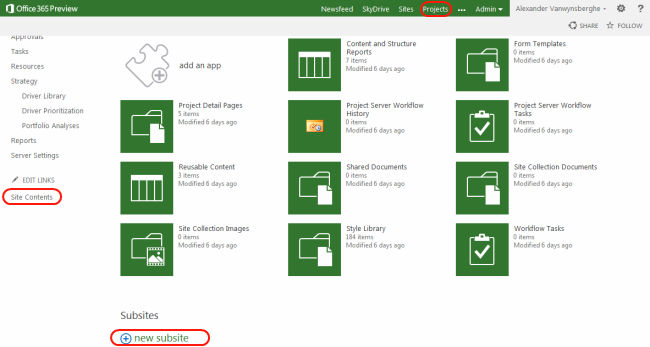 Is there a field in SharePoint Designer for promoted projects?